Prof Rajiva Wijesinha had already collected An Anthology of Sri Lankan Short Stories for NBT, beside, of course, his modest collection of Modern Sri Lankan Poetry in English. But this is a more ambitious work which has drawn from Sinhala. Tamil and English representative works. The volume which runs to 400 pages contains 138 poems written in Sinhala and Tamil translated into English and 72 poems originally written in English. Appropriately, Hon. Vasudeva Nanayakkara, Minister of National languages and Reconciliation graced the function. Present in the audience were senior writers, critics and media persons. “Genuine poetry”, said T.S.Eliot “can communicate even before it is understood” This was affirmed as I first read out the Tamil originals of my poems. At the launch, the audience, mainly non – Tamil, sat in husband silence because, I believe, the reading was infused with so much passion. Their understanding was complete with the English version that followed. 12 new Divisional Secretariat areas in 9 districts have been declared by President Mahinda Rajapaksa as areas where both the Sinhala & Tamil languages should be used as the languages of administration. 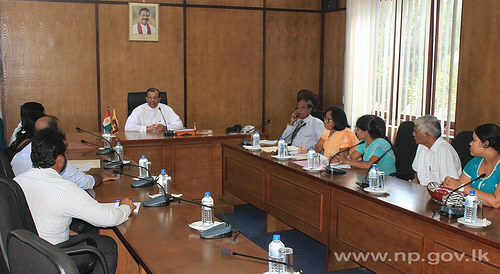 The areas are Dehiwala, Mount Lavinia, Ganga Ihale Kirale and theKandy 4 Gravets and Gangawata Kirale, Matale, Lankapura and Welikanda in Polonnaruwa, Ratnapura, Balangoda, Mawanella, Kekirawa, Vavuniya South and Dehiattakandiya. The president has made the order under the constitutional provisions that enable him to declare that both languages be used for administrative purposes in any area taking into consideration the linguistic make up of these areas. 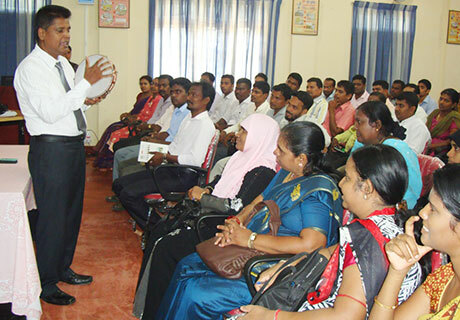 Official Language Commissioner J.D.C.Jayasinghe said the government is expediting its tri-lingual policy throughout the country and this step would assist in the process. The Ministry of National Language & Social Integration is to launch a new hotline from November 1st to resolve language issues. The hotline no: is 1956, which was also the year the ‘Sinhala Only Act’ was introduced. The general public was full of praise of the government for this new service rendered. On World Children’s Day the Country Director of UNICEF in Sri Lanka, Mr Reza Husseini, opened an English Activity Center at the Karandana Junior School in the Eheliyagoda Educational Division. The Center, which also includes two classrooms for Grade V students, and looks out over the local hills, was built with decentralized funds allocated by Prof Rajiva Wijesinha.